"I had already warned my readers that they must expect little help from those Egyptologists and Assyriologists who are bibliolaters first and scholars afterwards." We should always be disposed to believe that which appears to us to be white is really black, if the hierarchy of the church so decides. 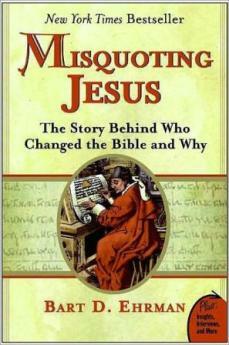 Josephus mentions nineteen "historical" men with the name of Jesus. "In my father’s house are many mansions." This concept comes from the Egyptian Book of the Dead directly. "Come to me all you who are heavy laden, and I will refresh you." This comes, word for word, from a saying inscribed above the portal of the Temple of Dendera. It it attributed to Isis, the great mother goddess. The words Christ, cross, and serpent, are etymologically related. The word Christ is Egyptian. It is also close to the Greek word ceras (or cerastes) that means "serpent." Interestingly, the word cross comes from this Greek ceras. The author of the Book of Ecclesiastes in the Old Testament is in the book's very title called "The Preacher." In ancient Egyptian religious books which dramatized the forms and stages of the divinization of man, there was a character always called "The Speaker." When the virgin is taken to the temple at 3 years of age, she ascends fifteen steps. This has to do with the passage of the new moon to full moon. Sut, the treacherous opponent of Horus (Osiris in the later Mythos), was the Egyptian Judas. Incredibly, having studied the origins of the Gospels for over two centuries, historians and other experts have been unable to agree on when they were written – or even by whom. Paul also introduced an important change to Jesus’ title of Christ (Christos). The Gospels tell us that his immediate followers called him “the Christ” (ho Christos), showing they regarded him as the prophesized Messiah. Paul dropped the definite article, calling Jesus simply Christos, turning it into a name – Jesus Christ – probably to emphasize his uniqueness and distance him further from the Jewish interpretation of his mission…Many authorities argue that…Paul was influenced by the pagan mystery cults of Rome, and that he freely borrowed concepts from them. There are not even any archaeological remains to compensate for the relative lack of written records. Unsurprisingly, modern Israel is a magnet for Christian tourism. What devotee of Christ would not want to walk in his footsteps by the Sea of Galilee or retrace the terrible journey through Jerusalem to Golgotha, the Place of the Skull, where he died on the cross? Yet of the many individual sites on the Christian tourist map – such as the Church of the Nativity in Bethlehem and the Church of the Holy Sepulchre in Jerusalem – in all cases the link is merely traditional. Sadly…there is no hard evidence that any of these particular places was actually associated with Jesus. Every one of them is dubious, and most are provably bogus. From what little we know of the Jerusalem group (almost entirely from the unreliable Acts, with a few scraps from Paul’s Epistles), its members lived communally, pooling property and money. They saw themselves as a sect within Judaism, not a breakaway movement, observing the Jewish Law and worshipping at the Jerusalem Temple. Even so, the Jewish authorities looked upon these dissidents with suspicion, at times taking draconian action and even executing the group’s leaders – which was where Paul came in. Exactly why they disliked the Jerusalem Christians is unclear. Far from seeking out those who had known Jesus to absorb their memories, as would today’s hagiographers, Paul went out of his way to avoid all eyewitnesses, also evincing no interest in stories and writings being circulated by Jesus’ companions. Mark is also conspicuous for certain highly significant omissions – such as the virgin birth and, in the earliest manuscripts, Jesus’ post-resurrection appearances. When Mark was grouped together with the other three Gospels, these lacunae were relatively inconsequential. But when it was realized that Mark came first, serious questions had to be asked about why these episodes, so fundamental to Christian belief, were not there and why they only appeared in the Gospels that came after his. Mark contains very few direct sayings of Jesus, whereas the “non-Mark” material in the other two synoptic Gospels is almost entirely made up of sayings and teachings. So there were four categories of missionary proselytizing the Empire: the Jewish version, Paul and those following his “revealed” form, others who also added a Hellenistic twist, and John the Baptist’s followers. It was a busy, chaotic, and heady mix, all inspired by those events that had taken place a few in a short few years in a far-flung corner of the Empire. The Gospels disagree on whether Jesus’ parents were married at the time of his birth (as in Matthew) or merely betrothed (as in Luke). Although the agree he was born in Bethlehem, in Luke it is because his parents lived there, in Matthew because they were visiting for a census; John, ever the outsider, reports the claim that Jesus doesn’t come from Bethlehem at all and fails to challenge it. The accounts of events surrounding what is, for Christians, the most important aspect of Jesus’ life and meaning, his resurrection, are among the most contradictory. Seed of David or Son of God? Matthew and Luke’s tracing of Jesus’ Davidic descent to Joseph leads to a major contradiction with their assertion that Jesus was literally the son of God. Both insist on his divine conception but then blithely undermine their own claim by providing evidence of his very moral descent. These writers were clearly desperate to have it both ways. To be the Messiah, Jesus had to have been descended from David, but to be the Christian Christ he had to be the Son of God (Paul, in one of his few pieces of information about the earthly Jesus, wrote that he was descended from David “according to the flesh,” and said nothing about a miraculous conception or birth. )…Mainstream Christianity, however, has simply ignored the discrepancy – maintaining that both accounts of Jesus’ ancestry are true, even though they are blatantly irreconcilable. While there are reasons for Matthew and Luke to have invented Jesus’ descent from David, it is considerably harder to imagine any reasons Mark and John chose to ignore or suppress it. On that basis one must conclude that the claim of Davidic descent was false. Crucifixion was a Roman penalty specifically reserved for rebels against Rome’s authority, and it punished political, not religious, transgressions. …a distinguished Idumean general named Herod – “the Great” – was appointed king of the Jews; he rued from 37 to 4 BCE. Despite frequent claims to the contrary, Herod was Jewish by religion (but only because the Hasmoneans had forcibly converted the Idumeans to Judaism a couple of generations earlier)…Pliny the Elder described Herod’s Jerusalem as the most famous of the great cities of the East. The more I studied the manuscript tradition of the New Testament, the more I realized just how radically the text had been altered over the years at the hands of scribes, who were not only conserving scripture but also changing it. Not only do we not have the originals, we don't have the first copies of the originals. The books we call the New Testament were not gathered together into one canon and considered scripture, finally and ultimately, until hundreds of years after the books themselves had first been produced. Given these problems, how can we hope to get back to anything like the original text, the text that an author actually wrote? It is an enormous problem. In fact, it is such an enormous problem that a number of textual critics have started to claim that we may as well suspend any discussion of the "original" text, because it is inaccessible to us. ...we know of about ten thousand manuscripts of the Latin Vulgate, not to mention the manuscripts of other versions, such as the Syriac, Coptic, Armenian, Old Georgian, Church Slavonic, and the like...In addition, we have the writings of church fathers such as Clement of Alexandria, Origen and Athanasius among the Greeks and Tertullian, Jerome, and Augustine among the Latins - all of them quoting the texts of the New Testament in places, making it possible to reconstruct what their manuscripts (now lost, for the most part) must have looked like. With this abundance of evidence, what can we say about the total number of variants known today? Scholars differ significantly in their estimates - some say there are 200,000 variants known, some say 300,000, some say 400,000 or more! We do not know for sure because, despite impressive developments in computer technology, no one has yet been able to count them all...There are more variations among our manuscripts than there are words in the New Testament. It would be a grave mistake, though, to think that because later manuscripts agree so extensively with one another, they are therefore our superior witnesses to the "original" text of the New Testament. For one must always ask: where did these medieval scribes get the texts they copied in so professional a manner? They got them from earlier texts, which were copies of yet earlier texts, which were themselves copies of still earlier texts. Therefore, the texts that are closest in form to the originals are, perhaps unexpectedly, the more variable and amateurish copies of earlier times, not the more standardized professional copies of later times. The copying practices I have been summarizing principally involve the eastern part of the Roman Empire, where Greek was, and continues to be, the principal language. It was not long, however, before Christians in non-Greek-speaking regions wanted the Christian sacred texts in their own languages. Latin, or course, was the language of much of the western part of the Empire...Problems emerged very soon, however, with the Latin translations of scripture, because there were so many of them and these translations differed so broadly from one another. Other passages of the Gospels also do not cohere completely with the rest. Even in the opening verses 1:1-18, which form a kind of prologue to the Gospel, appear to be different to the rest. This highly celebrated poem speaks of the "Word" of God, who existed with God from the beginning and was himself God, and who "became flesh" in Jesus Christ. The passage is written in a highly poetic style not found in the rest of the Gospel; moreover, while its central themes are repeated in the rest of the narrative, some of its most important vocabulary is not. Thus, Jesus is portrayed throughout the narrative as the one who came from above, but never is he called the Word elsewhere in the Gospel. Is it possible that this opening passage came from a different source than the rest of the account, and that it was added as an appropriate beginning by the author after an earlier edition of the book had already been published? The story of Jesus and the woman taken in adultery is arguably the best-known story about Jesus in the Bible; it certainly has been a favorite in Hollywood versions of his life. It even makes it into Mel Gibson's "The Passion of the Christ"...Despite its popularity, the account is found in only one passage of the New Testament, in John 7:53-8:12, and it appears not to have been original even there...Despite the brilliance of the story...there is one enormous problem that it poses. As it turns out, it was not originally in the Gospel of John. In fact, it was not originally part of any of the Gospels. It was added by later scribes. Then come the last twelve verses of Mark in many modern English translations, verses that continue the story. Jesus himself is said to appear to Mary Magdalene, who goes and tells the disciples; but they do not believe her...He then appears to two others...and finally to the eleven disciples...who are gathered together at table. Jesus upbraids them for failing to believe, and then commissions them to go forth and proclaim his gospel "to the whole creation." 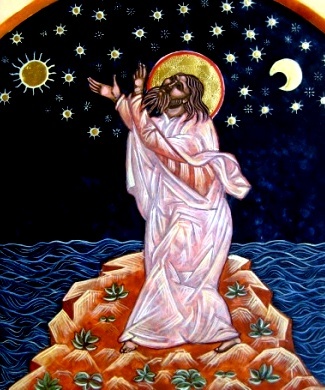 Those who believe and are baptized "will be saved," but those who do not "will be condemned"...Jesus is taken up into heaven, and seated at the right hand of God. And the disciples go forth into the world proclaiming the gospel, their words being confirmed by the signs that accompany them...It is a terrific passage, mysterious, moving, and powerful. It is one of the passages used by Pentecostal Christians to show that Jesus's followers will be able to speak in unknown "tongues,"...but there is one problem. Once again, this passage was not originally in the Gospel of Mark. It was added by a later scribe. What survives today, then, is not the original copy of the letter, not one of the first copies that Paul himself had made, nor any of the copies that were produced in any of the towns of Galatia to which the letter was sent, nor any of the copies of those copies...In short, it is a very complicated business talking about the "original" text of Galatians. We don't have it. At the same time that Justin was writing in the mid second century, another prominent Christian was also active in Rome, the philosopher-teacher Marcion, later declared a heretic. Marcion is an intriguing figure in many ways. He had come to Rome from Asia Minor, having already made a fortune in what was evidently a shipbuilding business. Upon arriving in Rome, he made an enormous donation to the Roman church, probably, in part, to get in its good favor. For five years he stayed in Rome, spending much of his time teaching his understanding of the Christian faith and working out its details in several writings...Marcion was the first Christian that we know of who produced an actual "canon" of scripture - that is, a collection of books that, he argued, constituted the sacred texts of the faith. Many Christians today may think that the canon of the New Testament simply appeared on the scene one day, after the death of Jesus, but nothing could be farther from the truth. As it turns out, we are able to pinpoint the first time that any Christian on record listed the twenty-seven books of our New Testament as the books of the New Testament - neither more nor fewer. Surprising as it may seem, this Christian was writing in the second half of the fourth century, nearly three hundred years after the books of the New Testament had themselves been written. The author was the powerful bishop of Alexandria named Athanasius. The difference among the manuscripts have become great, either through the negligence of some copyists or through the perverse audacity of others; they either neglect to check over what they have transcribed, or, in the process of checking, they make additions and deletions as they please. Some believers, as though from a drinking bout, go so far as to oppose themselves and alter the original text of the gospel three or four or several times over, and they change its character to enable them to deny difficulties in face of criticism. Just how Christian is Christmas? As is the case with many other holidays, Christmas can trace it origins back to ancient Pagan traditions. Although it was named after the Cristes Maesse, or Mass of Christ, and is thus primarily associated with Jesus and Christianity, its origin predates their existence by thousands of years. Similar solstice celebrations have taken place throughout recorded history. Ancient people celebrated the victory of light over darkness from Asia to Africa and from Europe to the Americas. The festival of Christmas is actually an amalgam of Babylonian, Christian, Greek, Jewish, Mithraic, Pagan, Roman, and Zoroastrian religious traditions. In fact, the celebration of nearly all the solar saviors has historically occurred at this time; including the worship of Adonis, Apollo, Attis, Baal, Baldur, Dionysus, Frey, Jesus, Mithras, Osiris, Tammuz, amongst others. As with nearly everything else in our modern society, the origin of Christmas has its foundations in Babylon with an ancient festival known as Sacaea. It represented the Twelve Days of Chaos, when the new year would rule over the old, summer over winter, good over evil, and order over chaos. The festival itself was only five days and was based on a king-sacrifice concept; whereas, a slave was clothed as the head of each household and a clown would take the part of the king. There was also a human scapegoat who would be given all indulgences until the end of the festival, when he was sacrificed. It is also associated with the Hebrew celebration of Purim, which follows the Fast of Esther, representing the deliverance from an imperiled slaughter in Persia. About four thousand years ago, ancient Egyptians celebrated the rebirth of the sun at this time of year. They set the length of the festival at 12 days, to reflect the 12 divisions in their sun calendar. They decorated with greenery, using palms with 12 shoots as a symbol of the completed year, since a palm was thought to put forth a shoot each month. Christianity correlates the 12 days of Christmas as the time it took the wise men to arrive in Bethlehem. In what is today Scotland, in the first millennium B.C.E., the ancient Druids celebrated the Winter Solstice with a vast celebration that marked the death of the old season and the rebirth of the new. Eventually the Persian and Egyptian, Persian, and European customs merged in ancient Rome, in a festival to the ancient god Saturn. In one of its early Christian forms Christmas was known as Saturnalia, named after the Roman god of seed and sowing, Saturn. Like many other Pagan traditions it marked the changing of the seasons, this particular one marking the eve of the shortest day of the year and the return of the coming spring. The solstice marks the entry of the Sun into the Zodiac sign of Capricorn which is ruled by the planet Saturn. As the most popular holy-day of the Roman year, it was a time of great merriment, with decorative greenery, gift exchanges, burning Yule logs, the abandonment of social customs, children could head the family, people cross-dressed, transvestitism was common, wars were postponed, grudges forgotten, quarrels disbanded, and businesses, courts, and schools were closed. The week-long Saturnalia festival was celebrated from December 17 to December 23. In the cycle of the ages, the period of Saturn was a time of plenty and equality, and thus Saturnalia was a momentary relapse to a happier time. There is no doubt, even today, that overindulgence, even by Roman standards, held a large place in the festival. It was probably this debauchery that lost favor with the church when Christmas was temporarily abolished by seventeenth century English Puritans. For a week during Saturnalia, servants were granted their freedom, reportedly being allowed to eat meals, drink alcohol, and speak freely with their masters. In an ironic twist, the masters were even said to serve their servants. The idea may have been that slaves would become more compliant if relieved from their cradle to grave existence, if only for a brief time each year. In the 4th Century, Constantine moved Christ's birthday to December 25, thus merging the traditional festivals of Dies Natalis Sol Invictus (Day of the Birth of the Undefeated Sun) and Saturnalia into Christmas to celebrate the birth of Christ. Even the timing of Saturnalia varied throughout the history of Rome. It began as feast days for Saturn, the god of Agriculture (earlier merged with the Greek Cronos) on December 17 and Ops, the Goddess of Plenty, mother of the Earth (and partner to Saturn and Consus) on December 19. With the advent of the Julian calendar, Saturnalia was held on December 17-18 and Opalia on December 19-20. During later times it was extended to a week from December 17-23. It was also associated with Dies Juvenalis (from Juventas, Goddess of Young Manhood who's related to the Greek Hebe of Youthful Beauty), the Coming of Age for Young Men in mid-December; Consualia (named after Consus, the God of Harvested Grain), the end of sowing season festival on December 15; the Feast of Sol Invicta, set in 274 C.E. on December 25; Brumalia, Winter Solstice of the pre-Julian calendar on December 25; Janus Day (from the God of Beginnings and Gates) and the Beginning of Calendar Year set in 153 B.C.E. and again in 45 B.C.E. on January 1; and Compitalia, the blessing of the fields festival on January 3-5. It would seem that the holiday functioned as a safety valve for society, a time when people were allowed to blow off steam within the setting of an annual festival. In many respects the analogy of today's holiday season or annual office party to this ancient festival is uncanny. Many of the religious artifacts and rituals that have become associated with Christmas also have a narrative worth mentioning. Saint Nicholas was said to have been born in Asia Minor in 326 C.E. and has been known for millennia as the patron saint of children. It is claimed that he was fond of giving them surprise gifts. St. Nick's festival was on December 6, but the practice of gift giving followed the Paganistic tradition and was later moved to Christmas. The custom of descending the chimney originates from his being a mystical person who must never touch the ground, thus leaving a pathway to the open sky. Part of the 'Father Christmas' story may date back to the Norse god Odin/Woden who would also give to the poor, and who used to ride across the sky on his sleigh pulled by reindeer. Another Norse deity, Freya, for twelve days after the winter solstice, was said to drive a chariot pulled by stags while giving out presents to the good. Eventually these different traditions were joined into a single entity that we know as Santa Claus. Santa Claus himself was a Dutch corruption of 'San Nicolaas' when settlers brought the holiday with them to America. In 1822, Clement C. Moore was the first to describe him in modern detail in a poem as a present to his children. Up until that time he took on various descriptions including a skinny elf or Cernunnos dressed in green. In 1931, the Coca Cola company commissioned an artist to draw a jolly old Santa in red and white as their corporate logo. It is probably no coincidence that a powerful red and white hallucinogenic mushroom from northern Europe is the favorite food of reindeer. It was even used in pre-Christian sacraments and was said to emerge from the bits of spittle and blood that fell from the mouth of Odin/Woden's horse as he flew on the Winter Solstice. In the Norse tradition, the reindeer also represented an ancient horned god. The Christmas Tree was introduced to European culture as the fir of Odin/Woden or the pine of Attis. The pine tree under which the god Attis had been killed was made into a shrine by devotees and was decorated with gold and silver bells and ornaments, hanged with streamers, and consecrated with gifts. Candles or lights on the tree symbolized the Sun, Moon, stars, and the souls of those departed. Christianity adopted the gifts as those of the three Magi and the lights as the symbol of Christ as the Light of the World. Wreaths were common before the appearance of the Christmas tree. These Kissing Boughs were bound together in a globe or wreath, hung from the ceiling, and adorned with apples, ribbons, and presents. Gift Giving is reminiscient of the earlier Norse traditions associated with the Christmas tree and the devotional gifts to the gods. Of course, these customs were also a large part of the Roman Saturnalia festival. Christmas Carols were once banned in Cromwellian England where they were thought of as wanton licentious behavior. Fortunately, they were brought back at the Restoration and with the 19th-Century renaissance of music became seasonal hymns at churches worldwide. Of course, nearly all of the traditional carols are of Pagan origin. Holly was associated with the old Pagan Holly King, and with the god Saturn, and not a crown of thorns, as many Christians have been taught to believe. Nor did the berries represent the blood of Christ. One long standing tradition asserts that holly was the wood of the cross, hence the magical power of Hollywood. Mistletoe is an ancient Druid fertility symbol and, rest assured, was analogous with more than just kissing. Decorative greenery also expressed the Celtic belief that life had not died out in winter. The Yule in northern Europe was named after the Norse god of winter, Ullr. This dates to an old Scandinavian custom, where an oak or pine log was kept burning for 12 days before the midwinter celebration. It was festooned with evergreens (mostly ivy) and bright ribbons as it was brought home ritualistically. Tradition dictated that a piece of the Yule Log was saved to light the following year's log. The ashes of the Yule fire were sometimes strewn in the fields and gardens to promote fertility and the rejuvenative power of fire. In Greece, the season was celebrated by their 12-day festival with alcohol and merrymaking which was oversaw by the god of wine and revelry, Dionysus. As mentioned above, Christmas was never a celebration of Christ's birth until the middle of the 4th Century when the Church fixed it's date. Instead, it became a way of twisting Pagan beliefs to Christianity's benefit, converting more disciples for the new religion on the block. Old customs die hard, however, and it is still practiced today in its ancient traditional form in many cultures and Wiccan groups around the world. SOURCES: The Aquarian Dictionary of Festivals (1990) by J.C. Cooper · Calendar of the Roman Republic (1967) by A. K. Michels · Festivals and Ceremonies of the Roman Republic (1981) by H. H. Scullard · Macrobius: The Saturnalia (1969S) translated by Percival Vaughan Davies · The Pagan Book of Days (1992) by Nigel Pennick · The Roman Festivals of the Period of the Republic (1899) by W. Warde Fowler · Sacred and Legendary Art (1891) by Anna Jameson · Saturnalia: Winter Solstice in Pagan Rome (1993) by Selena Fox.